A key Dynasty cast member is leaving. E! Online reports Nathalie Kelley will not be returning for season two of the CW TV show. Kelley plays Cristal Carrington on the drama series reboot. 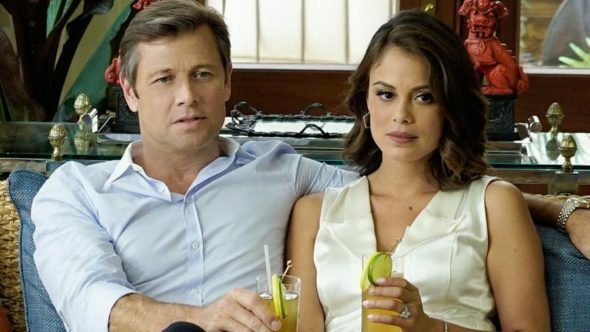 The The CW series also stars Grant Show, Alan Dale, Elizabeth Gillies, James Mackay, Sam Adegoke, Robert Christopher Riley, Rafael de la Fuente, Brianna Brown, and Nick Wechsler. What do you think? Are you a fan of Dynasty? Will you watch season two? I love Dynasty and I hope the bring additional series. I will watch as I was a long time loyal watcher of the original “Dynasty” Dallas and Falcon Crest in the 80’s. Season 1 was the bomb. I really like Cristal she brings pizzaz to the show but Fallon and the hot chauffer will do just fine lol! Oh my goodness, I love this reboot! I cannot wait for season 2. I’ll miss Cristal but as long as Fallon and Sam are back I will eat it up. I am Definitely a fan! Therefore, I will be watching season 2 and every season thereafter. Good luck to the actress playing Crystal. You made season 1 very interesting and was the key character that pulled the whole crew together. CW do not cancel this show! !